Pediatric dentists can sometimes be difficult to find. If you are searching for coral springs pediatric dentist near me and you are having a hard time choosing one, Coral Springs Dental Center is the number one parent’s choice. Coral Springs Dental Center has the best pediatric dentist and children dentistry services in your area. Our Specialist specializes in children’s dentistry for all ages and stages of children’s tooth development. 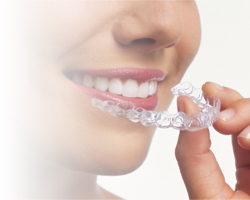 Our staff provides our patients with the highest dental care and comfort. We know dentist offices have a reputation for being a scary place for children. 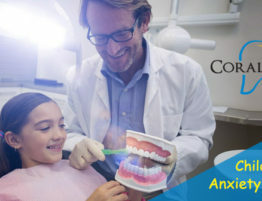 That is why here at Coral Springs Dental Center, We have a unique environment that will make your child’s visit with us a comfortable and fun experience. Make your child’s dental appointment today! Call us at 954-344-8800. 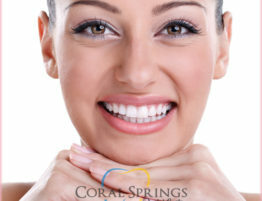 To find out more about us and all of our different services visit our website: Coral Springs Dental Center. Many times parents ask how important a child first set of teeth are? Most parents assume since baby teeth are going to fall out it doesn’t make them an important priority. A child’s first set of teeth are actually very important for their future. Taking care of your child’s baby teeth helps their adult teeth form and turn out in great shape over time. Proper Hygiene is also very important and necessary for your children to ensure that they will have proper oral health at a young age and good oral habits through their future. It is told that you should make your child’s first appointment at a pediatric dentistry between the ages of 1 and 2 years old. 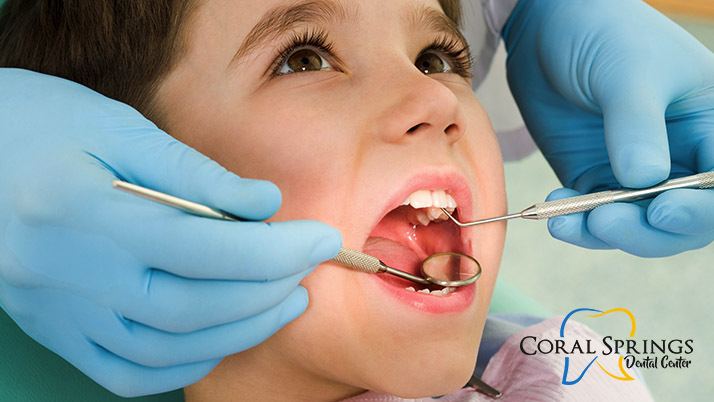 One of the most popular and outstanding service at Coral Springs Dental Center is the Pediatric Dentistry Service. Our pediatric dental staff is specially trained and experience in child’s psychology and behavior management. 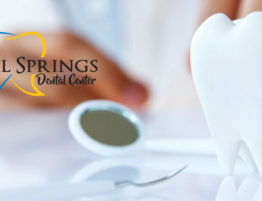 At Coral Springs Dental Center you can have all of your child dental needs taken care of by a well trained and skilled pediatric dentist in one location. From routine cleaning to full mouth braces. We also provide Sedation dentistry for children that are afraid. Sedation dentistry is a safe monitored use of Nitrous Oxide to calm your child and make their visit a lot less frightening. Maintaining a good dental health requires choosing children’s Dentist that suits the specific needs of you and your family. 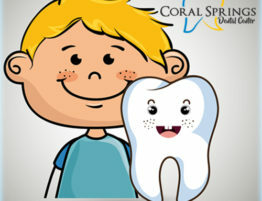 That is why here at Coral Springs Dental Center we have a specialist who can handle both children and adult patients. If your child is ever experiencing an emergency situation with their dental health, we can help. We also provide emergency services. Click here to read more about Coral Springs Family Dentistry. Call us at 954-344-8800 to schedule an appointment with us today. If you have any questions contact us here. Sometimes parents are torn when it comes to taking their small children to the dentist….